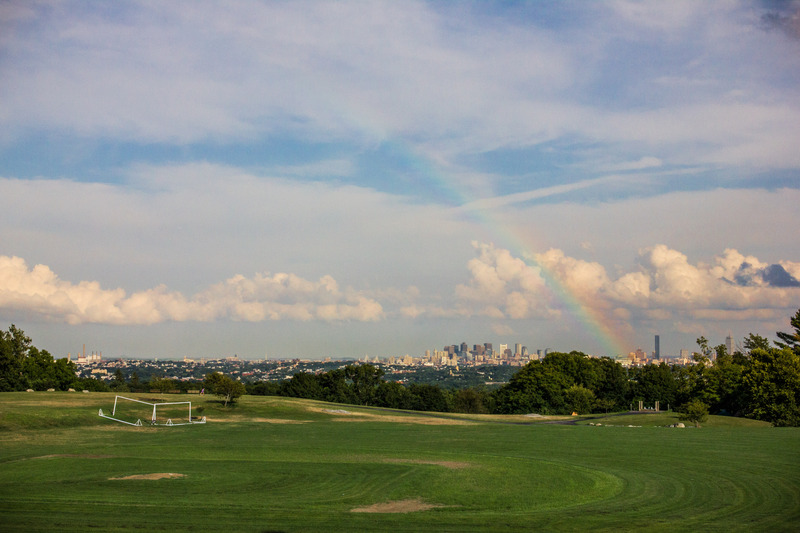 A rainbow appears over Boston as seen from Robbins Farm. 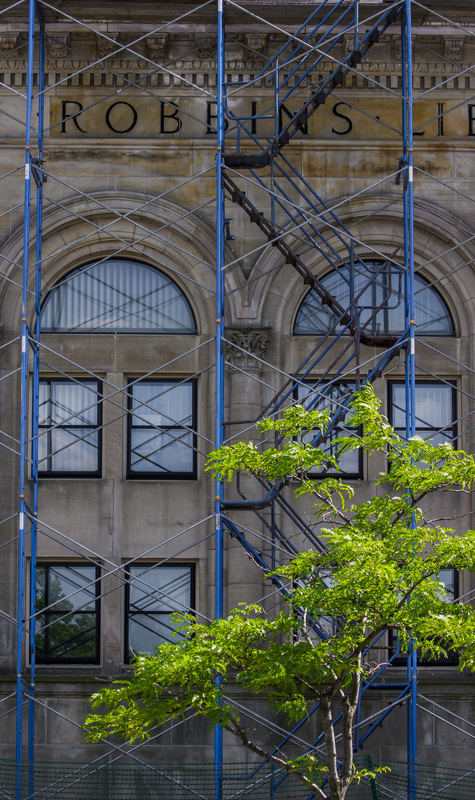 The hot summer sun provides energy for a tree along Massachusetts Avenue in front of the Robbins Library. 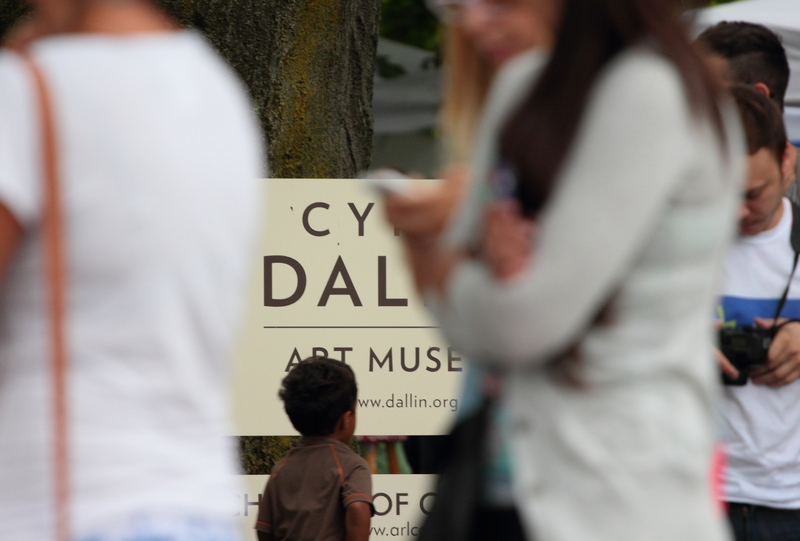 People crowd Whittemore Park in front of the Cyrus Dallin Art Museum for a special Sunday night event. A view of Massachusetts Avenue businesses in Capitol Square. 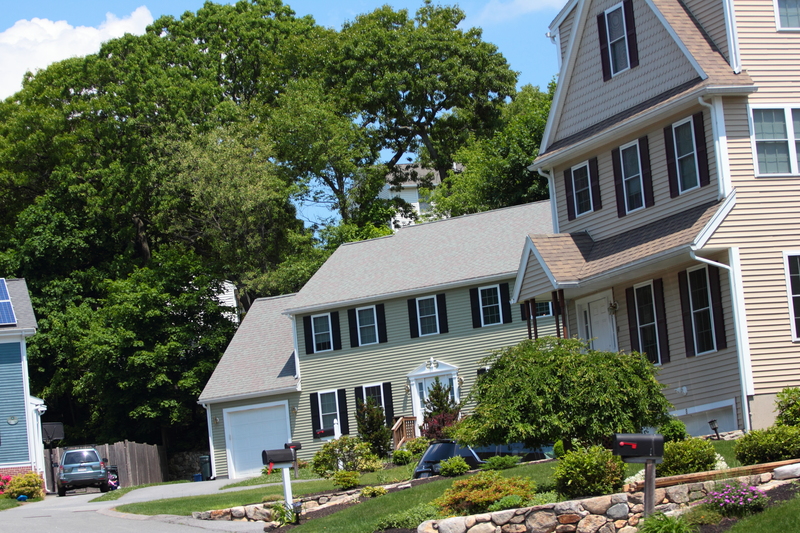 Houses in the Knowles farm subdivision off Hemlock street. 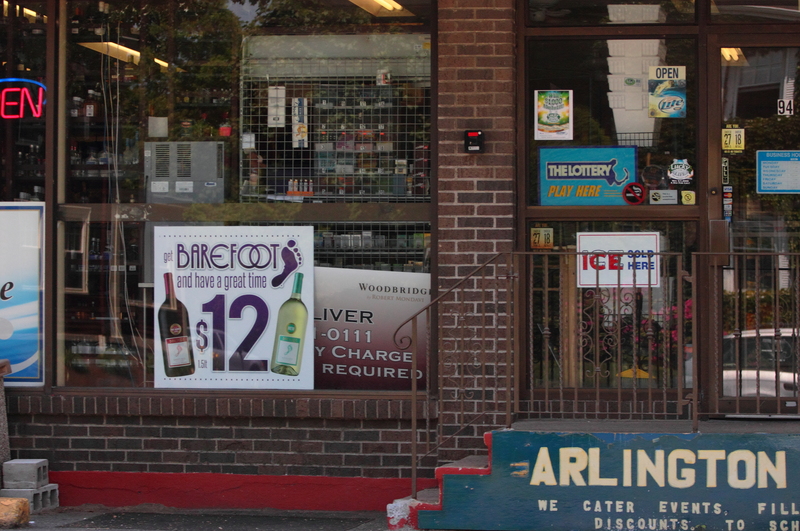 The front of a package store on Summer Street. 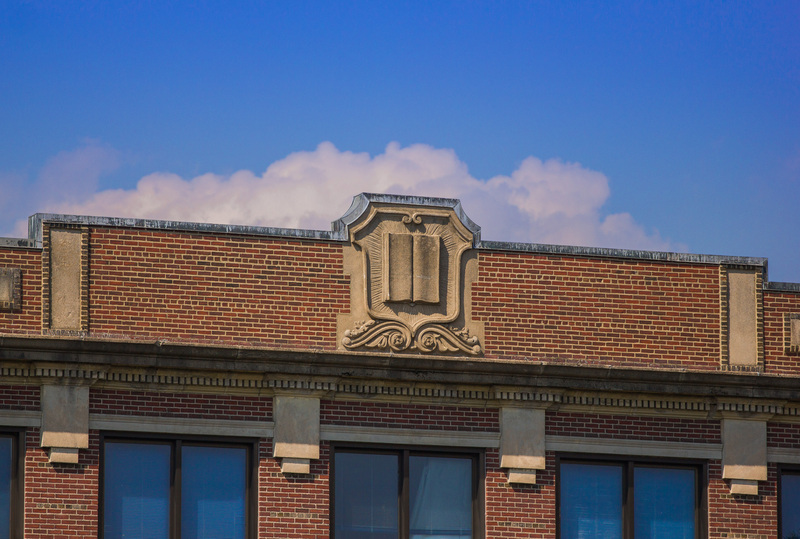 The shield atop the original building of Arlington High School.